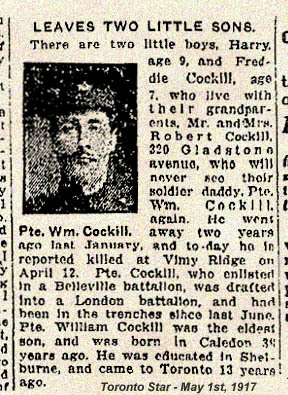 There are two little boys, Harry, age 9, and Freddie Cockill [sic] who live with their grandparents, Mr. and Mrs. Robert Cockill [sic], 320 Gladstone avenue [Toronto], who will never see their soldier daddy, Pte. Wm. Cockill [sic], again. He went away two years ago last January, and to-day he is reported killed at Vimy Ridge on April 12. Pte. 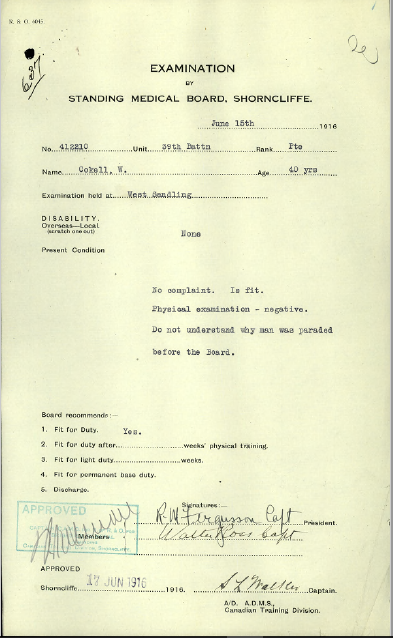 Cockill [sic], who enlisted in a Belleville battalion, was drafted into a London battalion, and had been in the trenches since last June. Pte. Wm. 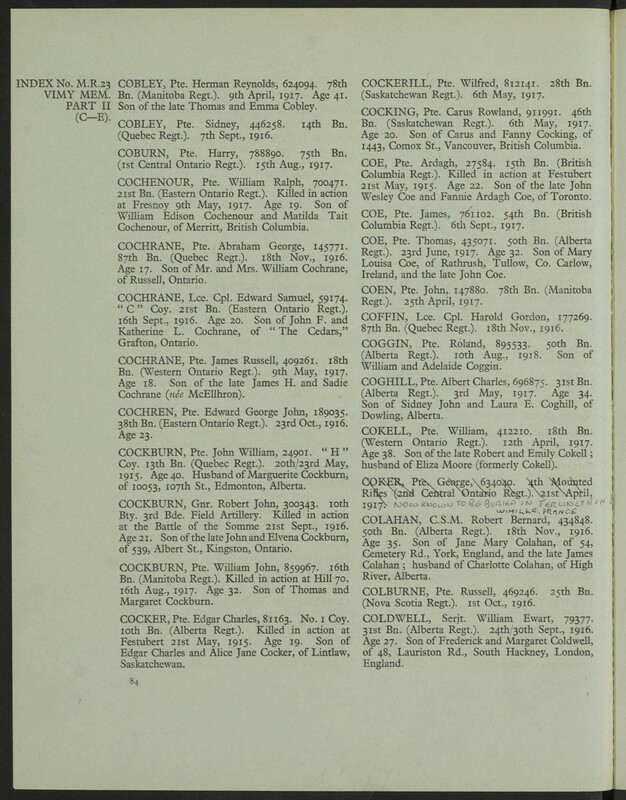 Cockill [sic] was the eldest son, and was born in Caledon 3 years ago. He was educated in Shelburne, and came to Toronto 13 years ago. Source: Toronto Star. May 1, 1917. 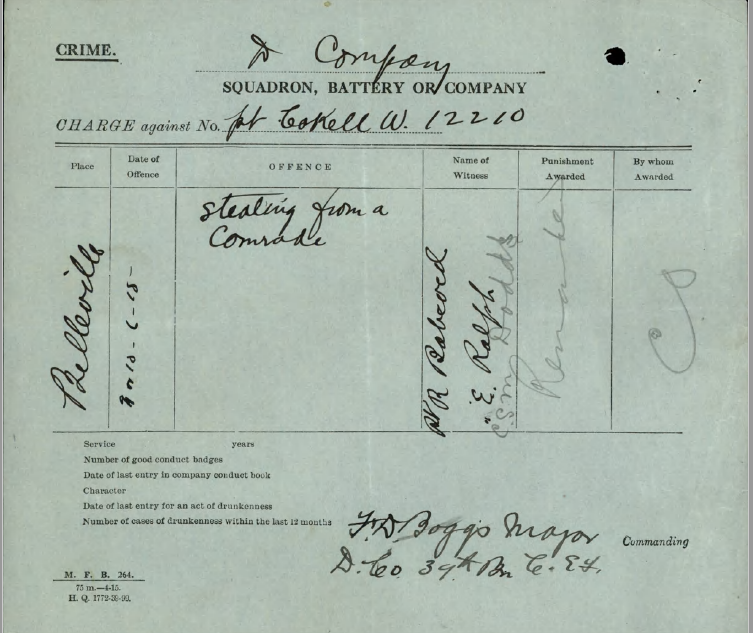 Charge sheet from service record.